The Bujutsu Brazilian Jiu Jitsu program is headed by Professor Mark Christie who is a first degree black belt under Professor John Will. 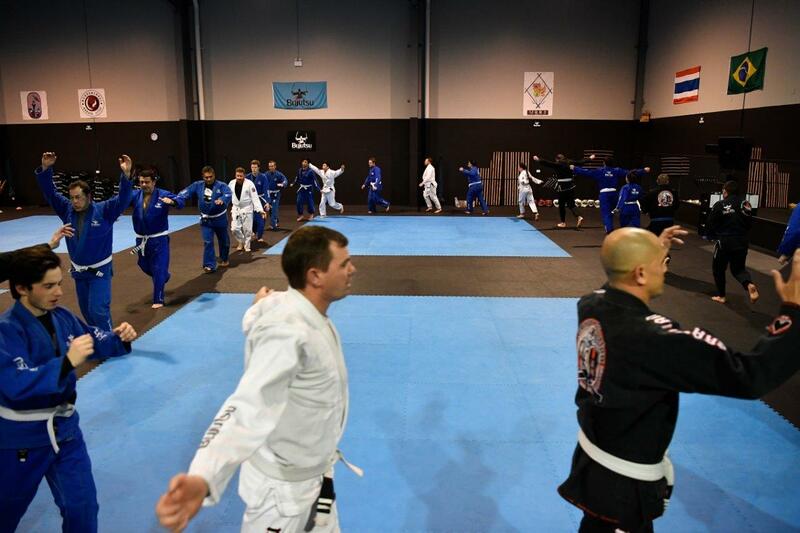 Bujutsu students are lucky enough to be able to train with and learn from 3 Brazilian Jiu Jitsu Black Belts. 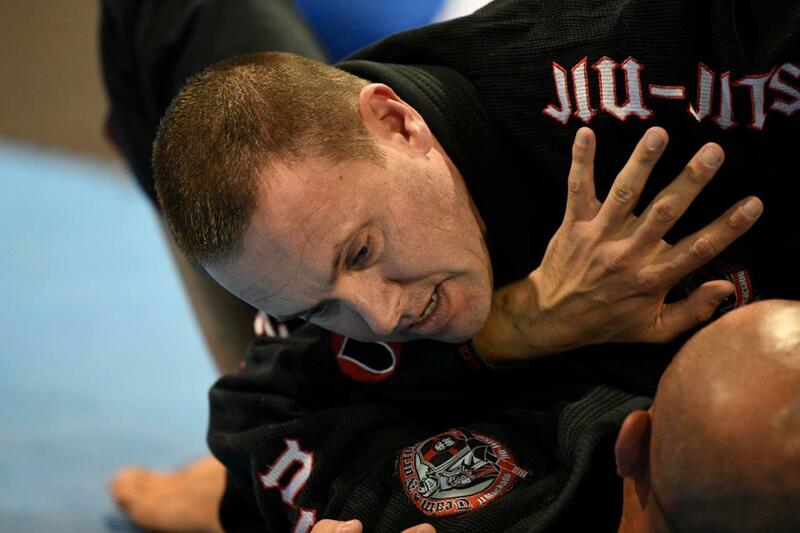 Professor Mark is also a member of Machado Brazilian Jiu Jitsu Australasia. 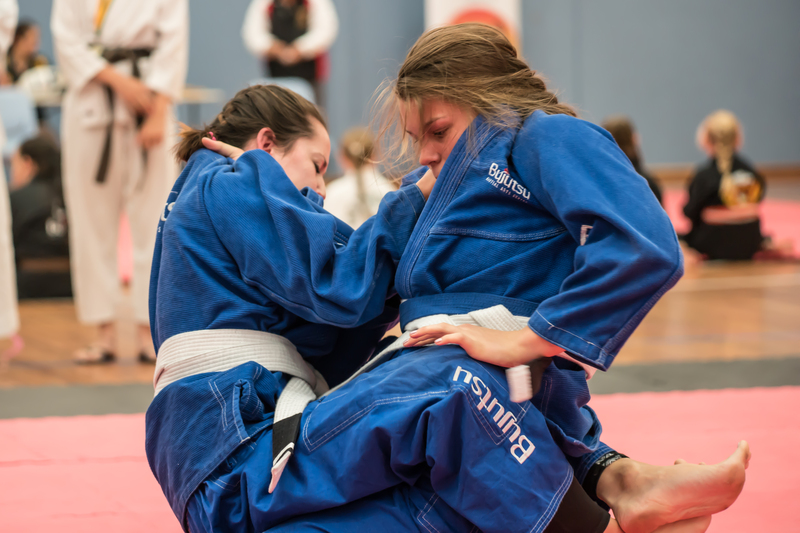 Just like all of the other programs at Bujutsu, our BJJ program provides a safe family friendly environment, we have numerous husband and wife teams training together, and Bujutsu is the only school in the Macarthur Region that has a large representation of ladies in our jiu jitsu program. 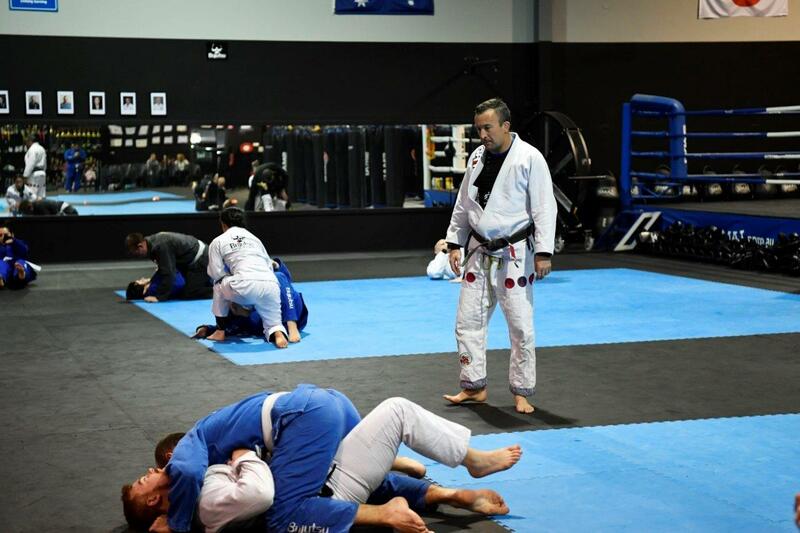 The make up of our jiu jitsu program is testament to the teaching style and culture developed within the BJJ program by Professor Mark Christie. Brazilian Jiu-Jitsu is a martial arts self defence system that focuses on grappling and especially ground fighting. The art was derived from the Japanese martial art of Kodokan judo in the early 20th century. 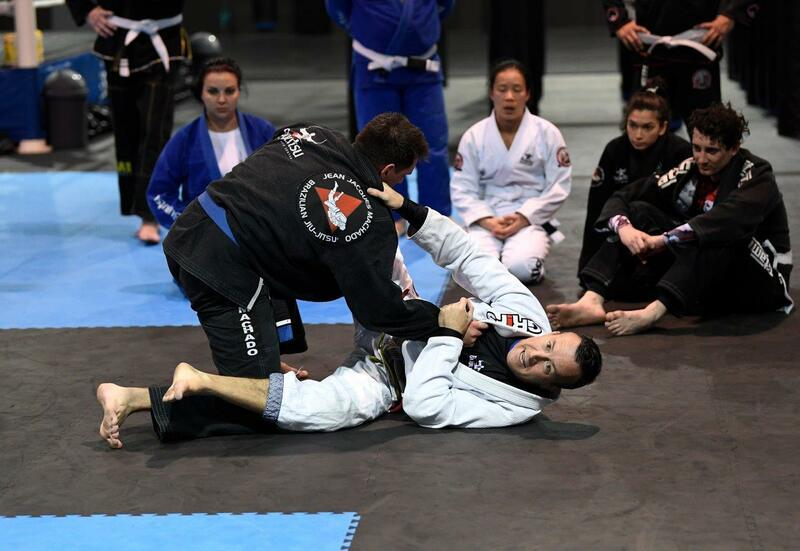 It teaches that a smaller, weaker person can successfully defend against a bigger, stronger assailant by using leverage and proper technique -most notably by applying joint locks and choke holds to defeat the other person. Sparring (commonly referred to as ‘rolling’) and live drilling play a major role in training. Judo means the gentle way. Judo was created in Japan in 1882 by Jigoro Kano. Judo is generally recognised as a modern martial art which later evolved into a combat and Olympic sport. Judo predominately involves throws and takedowns, but also involves ground fighting. 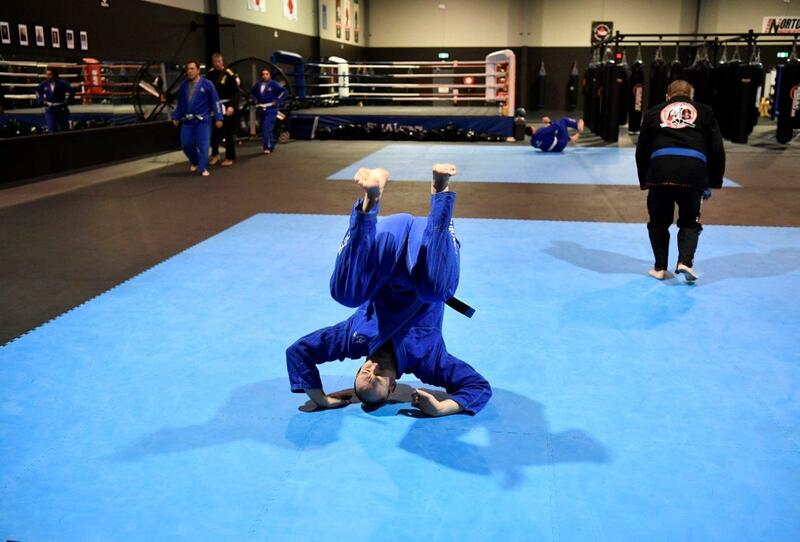 Judo was introduced at Bujutsu to ensure that we can provide our students with a complete training package. 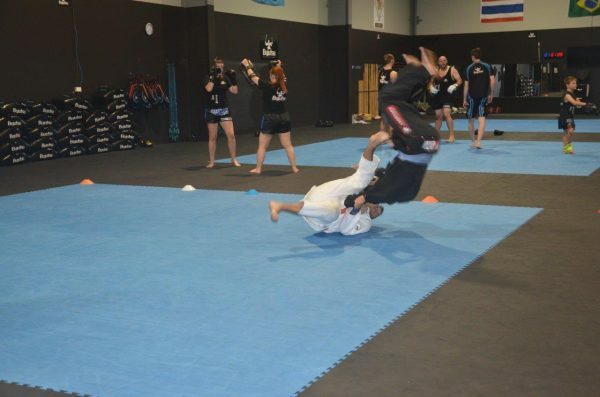 Not only can you train striking, stand up grappling, or Brazilian Jiu Jitsu, but you can also train throws and takedowns.